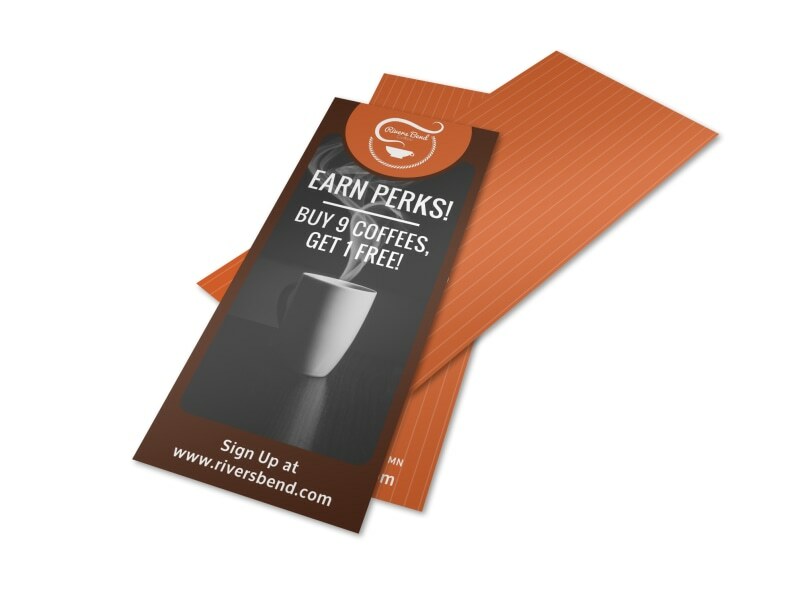 Customize our Coffee Perks Program Flyer Template and more! 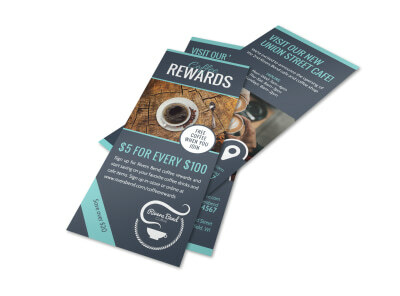 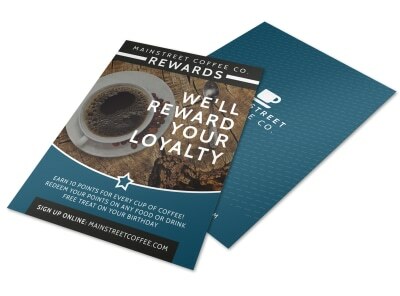 Advertise the perks to your coffee rewards program with a flyer you can distribute throughout your community. 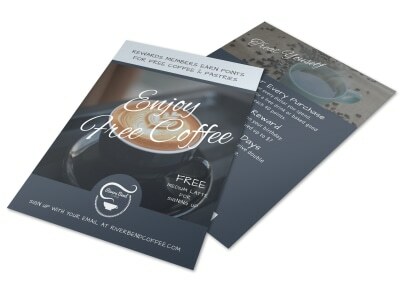 Use our online editor to customize this template with the colors, images, text, and design elements of your choice, then print from any location when you’re through. 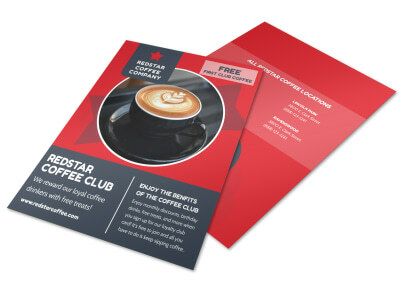 Personalize your flyer now so you can get back to pouring the java.